"avec 1 œuf" mean "With an egg" in french. 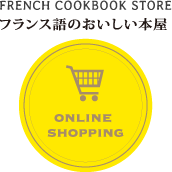 It's the name of graphic design studio as well as a french cookbookshop. Why this name and what is its meaning ? While talking with my friends, the words "with an egg" came out by chance. - what can be done with an egg ? - and why not an omelet ? - for me, a chick ! Egg is an usual ingredient for cooking, but from the simple grand'ma cake to the 3 stars chef recipe, it can easily adapt itself. Moreover, egg is also the place where babies are incubated, where life is born. With an egg, one can cook, bake, even make a chick ! Many things start with an egg, which is the symbol of creation. So, what will we do today... with an egg ? HOME　ONLINESHOP　ABOUTUS　PROFILE　WORK　CONACT Copylight ©2009-2012 avec 1 œuf All Rights Reserved.